With the AccountMate’s Kitting module, you can add the power of kitting to your Inventory Control module. Create and manage inventory items packaged and sold together as a single unit. The Kitting module is designed to be used by manufacturers and distributors whose goods are often resold in many different configurations. Users can decide whether assembled units of a kit item must be kept in stock or whether they can be packaged on-the-fly as orders are received. Kit items can be sold using a predefined formula or customized per order. This module tracks items when they are sold as part of a kit and provides the necessary reports to help you determine whether you have sufficient stock to meet existing kit orders thereby allowing you to make sound and up-to-the-minute inventory management decisions. 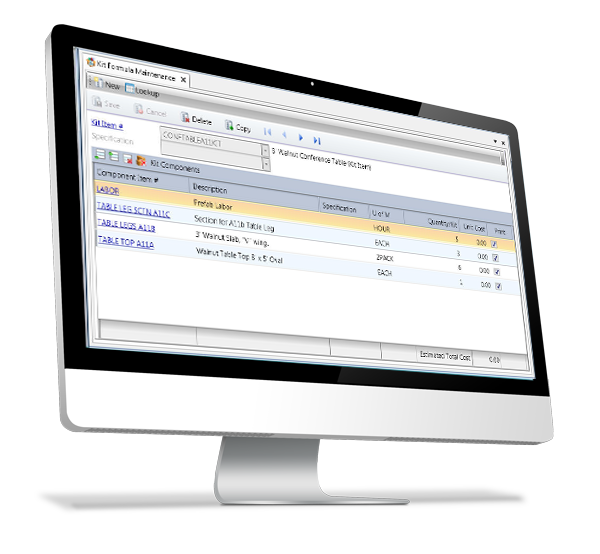 The Kitting module integrates with AccountMate’s Accounts Receivable and Sales Order modules. Here’s an overview of the key Kitting Module features. For details click the button below to view or download a PDF brochure.